First Floor 827 sq. ft.
Second Floor 512 sq. ft.
Width 31 ft. 8 in. Are you looking for a rustic retreat where you can get away from it all? This vacation bungalow is worth taking a closer look. It is designed for a narrow lot making it suitable for even a small parcel or property in the woods. 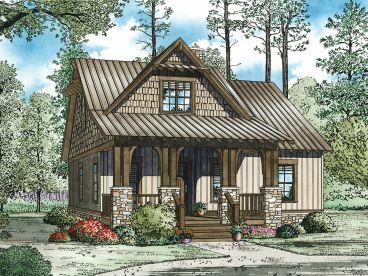 Furthermore, it displays a masterful mix of country and Craftsman styling allowing it to deliver a relaxed look and feel while blending with the natural surroundings. A covered front porch greets all and points the way inside where the den/family room features a radiant fireplace. Whether spending the weekend with friends or family, everyone is sure to love gathering in front of the fireplace on crisp fall evenings and wintry nights. 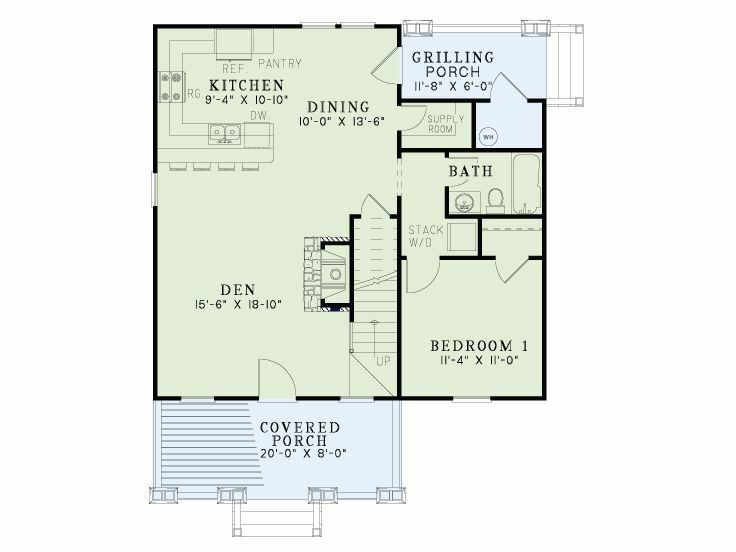 Beyond, the eat-in kitchen enjoys a step-saver design and offers a snack bar and pantry while connecting with the grilling porch. 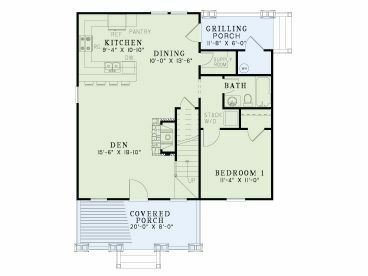 Don’t miss the handy supply room and laundry closet with enough room for a stacked washer/dryer unit. 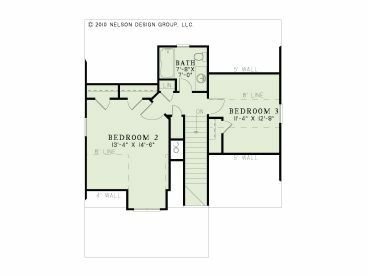 A comfortable bedroom and full bath complete the main level. 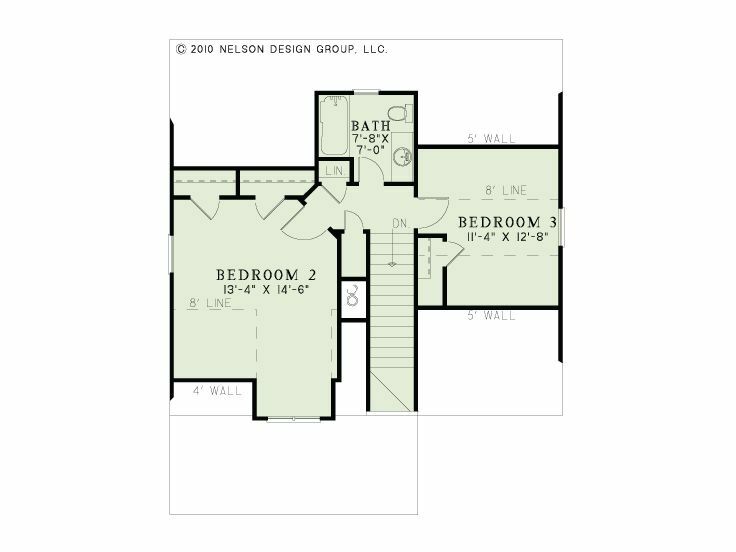 Upstairs, two more bedrooms share a full bath. 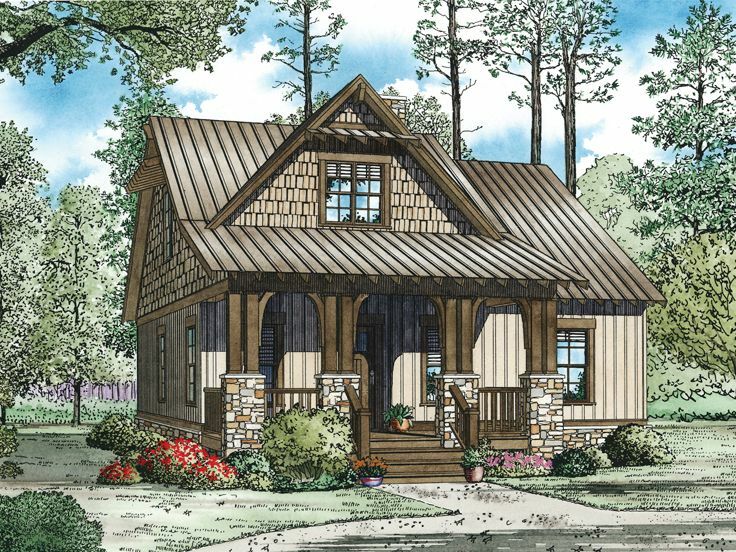 Enjoy spending quality time with family and friends in this small and affordable, two-story vacation house plan!